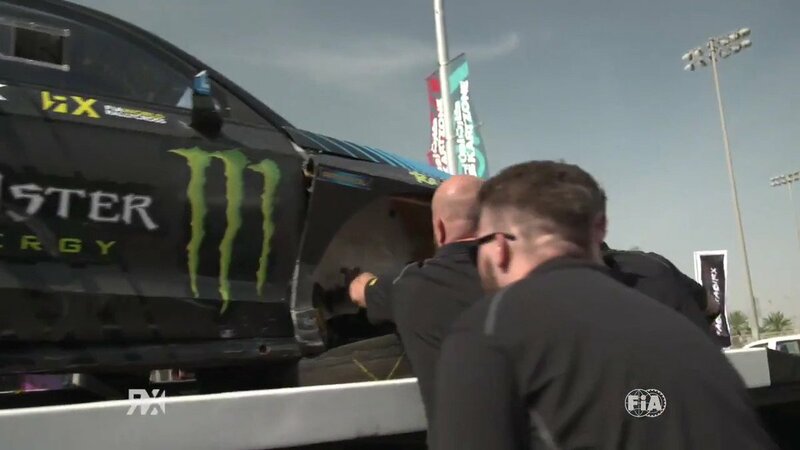 Approval of the FIA World Rallycross Championship presented by Monster Energy calendar by the FIA World Motor Sport Council is the last piece of the jigsaw puzzle that teams and drivers in the series have been eager to see assembled over the last few months. The final confirmation of World championship status has been well received by teams and drivers, many of whom have spent the last few weeks gearing up and preparing for the new challenge. Drawn back to rallycross at the start of this year, 2003 World Rally Champion Petter Solberg is impressed with the way things are going. "What I experienced during 2013 co-operating with IMG Motorsport, is impressive. The professional attitude and determination to achieve the objective made the World RX Championship a reality within one year. I firmly believe that IMG Motorsport together with FIA will steer the sport in the right direction - worldwide - with huge success," says Solberg who rebranded the team in which he is both owner and lead driver, PSRX. "I had many options in motor sport that I was considering a year ago. However, when I met IMG and looked at its plan, I saw a lot of passion from people who wanted to take the rallycross to the next level. They had a clear plan to get rallycross to World Championship status, along with a great strategy for live TV. These were the two main reasons why I chose rallycross to be my new motor sport, but also the fact to drive a 600bhp car with a big crowd around the track that gives you a boost is a big wow factor as well." Determined to add to the world crown already in his trophy cabinet, Solberg is currently overseeing the preparation of his team and makes it clear he is out to win in 2014, "PSRX is here to fight for another World championship title in Rallycross RX!" While Solberg is a new player in the field, the two most prominent team principals in rallycross are also revelling in the new challenge of moving their squads to the world stage. "I've been in this longer than most, it's been my whole life and a Rallycross World Championship is something I have always wanted so this is a big moment for me," says the Hansen Motorsport boss, "I would have loved to drive in a world championship, but running and developing our team has been my focus for the last few years, I'm happy doing that and very excited that we will be part of this new growth in rallycross. "As a team we have believed in rallycross for a long time so it's great to see the improvements that IMG Motorsport has brought in the last year, and the growth to a world championship; rallycross is now getting the attention is deserves." "Rallycross has more potential than any other motor sport and having an FIA World Championship is recognition of that," says OMSE principal Andreas Eriksson. "It is progressing and growing in a good direction and as one the people who always wanted this, and who has pushed for rallycross to be bigger and better I am very pleased that it is happening. OMSE/Ford has exciting plans to be involved in the World championship and the continued growth of rallycross across the world." With a new teams championship included in the 2014 there are new and additional challenges for those team principals to meet, as well as fresh objectives to achieve. Combined with new tracks, a longer calendar and events spread across four continents, those factors add up to make the 2014 season one of the most unpredictable ever.